On April 1, the Russian-backed militants performed 18 attacks in Donbas combat zone, as the press office of Ukraine’s Defence Ministry reported. In Donetsk region, the occupants fired five times. 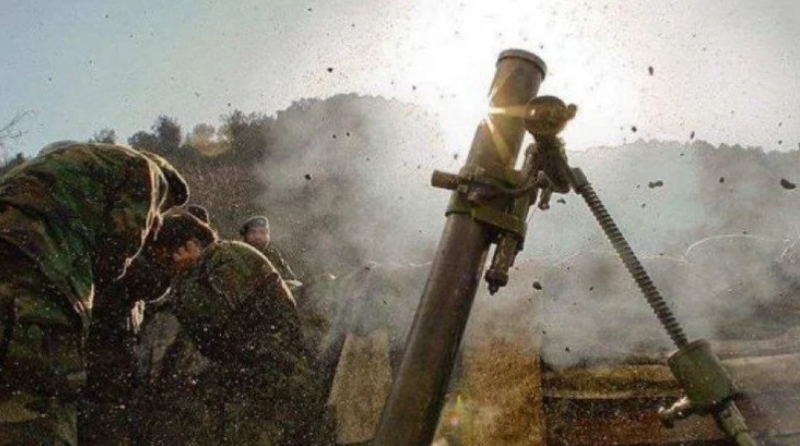 The militants attacked the Ukrainian positions with small arms near Pisky; with rocket-propelled grenades near Avdiivka; with rocket-propelled grenade launchers and heavy machine guns near Novotroitske; and with heavy machine guns near Lebedynske. In Luhansk region, the militants performed 13 attacks. The occupants fired with 120mm and 82mm, automatic grenades and rocket-propelled grenades, heavy machine guns and small arms near Krymske six times. They used grenade launchers and small arms near Novoluhanske; 82 mortars, heavy machine guns, and small arms near Zolote-4. Russian-backed militants fired grenades of various systems and heavy machine guns near Zaitseve, as well as heavy machine guns near Khutir Vilny and Novotoshkivske. As a result, three Ukrainian soldiers were injured. Ukrainian servicemen eliminated the enemy’s armored infantry vehicle. April 2, Russian-backed militants attacked with 120mm and 82mm near Verkhnyotoretske.